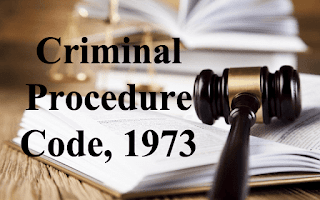 Criminal Procedure - Section 94 - Summons to produce document or other thing - before passing any order under Section 94 Cr.P.C., the Court is not obliged to hear the accused person. Whenever any Court, or any officer in charge of a police station considers that the production of any document or other thing is necessary or desirable for the purposes of any investigation, inquiry, trial or other proceeding under this Code by or before such Court or officer, such Court may issue a summons, or such officer a written order, to the person in whose possession or power such document or thing is believed to be, requiring him to attend and produce it, or to produce it, at the time and place stated in the summons or order. This power of court is absolute, only subject to satisfaction that documents sought to be produced are necessary for inquiry, trial or investigation, which may include further investigation. Further, by passing the impugned order, court below has not decided any valuable right of any party. By passing order impugned, trial Court has not truncated the proceedings. So this was an interlocutory order, so was not amenable to revision in view of bar created under section 435(2) Cr.P.C. The argument of counsel for petitioner- Sanjeev Nayyar, that he was not heard at the time of passing the order impugned, is not tenable. Because before passing any order under Section 94 Cr.P.C., the Court is not obliged to hear the accused person. Further, it is only the prerogative of the Investigating Officer to conduct further investigation in terms of Section 173(8) Cr.P.C., even after filing of charge-sheet. Further Investigation - Police has always power to further investigate the cognizable offence, even after filing of challan before competent court. For petitioner (s) : Mr. Rupinder Singh, Advocate For respondent(s) : Mr. Suneel Malhotra, GA Mr. P.N.Raina, Sr. Advocate with Mr. J.A.Hamal, Advocate. 1. This Criminal Revision has been preferred against order dated 24.02.2014 passed by learned 2nd Additional Sessions Judge, Jammu, by virtue of which he has allowed I/O to collect the documents for completion of further investigation, in an application filed by the Investigation Officer in police challan 89/2013 filed subsequent to registration of FIR No.21/2012 dated 21.01.2012 under Section 420, 467, 468, 471 and 34 RPC. 2. The facts giving rise to the filing of this criminal revision briefly stated are that the petitioner is a victim of the conspiracy hatched by complainant in connivance with the police authorities of Police Station Gandhi Nagar, Jammu and got registered a false and frivolous FIR No.21/2012 against petitioner by exerting sheer influence of the father of complainant, who is ex-M.L.A, and just to counter two numbers of FIRs registered against the complainant and using the registration of FIR impugned herein against the petitioner as pressurized tactics to shield his own acts of omission and commission whereby the complainant along with others has indulged in the act of cheating, forgery in conspiracy with each other and regarding each act of complainant and his associate two number of FIRs bearing No.456 dated 07.09.2013 of Police Station Sector-39, Chandigarh under section 420, 120 IPC and FIR No.327 dated 12.06.2013 of Police Station Sector-34, Chandigarh under Section 420/120 RPC registered against them in which the police authorities are in the midst of filing challan against them. It is further stated that the complainant who had become acquainted with the petitioner along with two of his associates one namely Nakul Matto, S/o Sameer Matto R/o 126-A/D Gandhi Nagar Jammu who is real cousin of complainant and one Rajpal S/o Naseeb Chand, R/o Mahashian, R.S. Pura, Jammu in connivance with each other represented themselves as co-owner of house No.119-Sector 38-A Chandigarh induced the petitioner no.1 to purchase the said house at a sale price of 1.05 crores regarding which a sum of Rs.4.00 lacs was obtained by complainant and said Rajpal through cheque No.000701 dated 14.06.2011 and another cheque No.000515 amounting to Rs.1.00 lac. In this view of matter a sum of Rs.5.00 lacs by way of above referred cheques, was received by them as token money and Rs. 25.00 lacs by way of cash. The complainant and said Rajpal have issued a receipt of the token money received by them of a sum Rs.5.00 lacs taken as cash and a formal agreement to sell was executed on 14.11.2011 in which a further sum of Rs.25.00 lacs was also acknowledged by complainant and the said Rajpal whereas said Nakul Matto stood as witness of the same. The said stamp papers were purchased at Chandigarh and the agreement to sell was also executed at Chandigarh. It is submitted that as per agreement the date for execution of the sale deed viz-a-viz house No.119 was fixed as 23rd of December 2011. The fact that the amount paid by the petitioner No.1 to the complainant and said Rajpal by way of cheques was duly encashed as clearly evident from the statement of bank account of the petitioner No.1. It is further stated that since the petitioner no.1 was interested to purchase the property at Chandigarh and was already in contact with the complainant and his above named cousin and had already initiated for sale of another house with the complainant who apprised petitioner that he along with the said Nakul Matto and one Rakesh Kumar S/o Ghasutu Ram claiming themselves to be co-owners of the flat No. 2846 Sector 49-D Chandigarh in the month of September, 2011 and induced the petitioner to purchase the said flat for which the total sale price of the flat was fixed at a sum of Rs.68.00 lacs. It is further submitted that regarding the sale of said flat a sum of Rs.7.00 lacs was paid to them by the petitioner in the account of Rakesh Kumar claiming to be co-owner of the said Flat vide cheque No. 000704 dated 14.11.2011 which was duly encashed and a sum of Rs.17 lacs was paid to the complainant and his other associates by way of cash. In this regard another agreement was also executed on 14.11.2011. That whereas date for the execution of the sale deed in both deals was fixed for 23rd of December, 2011, the petitioner was approached by complainant that they are no more interested in completing the sale transaction and that they are ready to return the advance payment received from the petitioner and in this regard the complainant issued cheque bearing No. 609079 dated 20.12.2011 for an amount of Rs. 15.00 lacs drawn from Punjab National Bank out of the sale transaction amount received by complainant and said Rajpal amounting to Rs.30.00 lacs, the complainant undertook that rest of Rs.15.00 lacs was to be obtained by petitioner from said Rajpal. The complainant further issued a cheque No.0007973 amounting to Rs.24.00 lacs dated 20.12.2011 drawn on 1C1C1 Bank Gandhi Nagar in favour of the petitioner No. 1 as regard the amount received by them towards sale transaction of the above referred house and the flat. The petitioner presented the above referred cheque for encashment in his bankers but both cheques issued by complainant were dishonoured forcing the petitioner No.1 to file complaint under section 138 of the Negotiation Instruments Act in the concerned court of law at Chandigarh. It is further stated that the petitioner having been cheated and suffered wrongful loss at the hands of the complainant and his associates, filed two complaints against said complainant and his associates with Chandigarh Police. On the basis of the complaints lodged by the petitioner two number of FIRs came to be registered against the complainant and his above named associates with the Chandigarh police. On registration of two number of FIRs against the complainant and his above referred associates that a conspiracy was hatched at his behest whereby petitioner was sought to be involved in a criminal case on the false allegations of cheating and forgery on the basis of forged and fabricated photo copy of the document namely Agreement to sell that subsequent to registration of FIR against him bearing No.21/2012 dated 21.01.2012 whereby the date of occurrence was shown as 12.01.2012 was got registered against the petitioner regarding which challan has been presented against the petitioner. The complainant Pawan Matoo and his associate and real cousin Nakul Matoo also filed an application seeking grant of anticipatory bail in the court of learned Additional Sessions Judge, Jammu, which came to be dismissed on 18.09.2013. Facing their imminent arrest in the said FIRs at the hands of Chandigarh Police, the complainant yet again in connivance with the police authorities of Police Station Gandhi Nagar, Jammu succeeded in filing an application with the trial court through Sub Inspector Khalid Qayoom dated 18.02.2014 i.e., seven months after filing of the challan while during this period there was no effort or prior to that made in this regard by the police authorities concerned for production of documents but without disclosing the nature of the documents which is simply aimed at stalling the investigation and filing of challan against the complainant and his associates facing investigation but avoiding their arrest that resort to application has been made and the court below without putting the petitioner on notice and against the provisions of law and legal position involved on the point has directed vide order dated 24.02.2014 impugned in this petition to the police authorities of economic offences to handover the documents being the agreement to sell which order has the effect of stalling the investigation in the said FIR against the complainant and his associates and filing of challan against them without appreciating that the FIRs against the complainant was registered on the complaint of the petitioner on 28.11.2011 i.e., well before the registration FIR No.21/2012 against the petitioner, the order also impugned in this petition is obviously not warranted under the facts and circumstances of the case and not sustainable. a) That even if the allegations made against the petitioner in the charge sheet and the statement of the witnesses recorded in support of the same taken on their face value and accepted in their entirety do not prima-facie disclose the essential ingredients of the offences alleged against the petitioner and as such allowing the criminal proceedings to continue would tantamount to an abuse of the process of the court and as such in exercise of the inherent powers of this Hon'ble court, the criminal proceedings launched against the petitioner and the order dated 24.02.2014 by which the documents forming evidence of the FIRs against the complainant having been called resulting into serious prejudice to the petitioner and as such merits to be quashed. b) That the allegations leveled in the FIR and police Challan are absurd and there were no sufficient grounds for proceedings against the petitioners is manifestly attended with malafide and the proceedings have been maliciously instituted by the complainant against the petitioner with an ulterior motive just to give cover to his own acts of omission and commission for which two numbers of FIRs have been registered the complainant. c) That the order impugned of the trial court has resulted into great failure of justice and the same can be corrected in exercise of the revisional jurisdiction of this Hon’ble court and hence the same. d) That the order of the tribunal below is neither legally correct nor sustainable in the eyes of law as the mandate of the section does not vest jurisdiction on the court particularly the Session court to act and pass orders on the application of the police for exercising its powers in issuing summons for production of the documents, the order impugned is seriously prejudiced to the petitioner and is inconsistent with the fundamental principle of criminal jurisprudence and as such is illegal and deserves to be set aside. e) That the order of the court below is further not legally sustainable as the order can only be passed by the courts after challan is presented before it if it is deemed necessary or desirable by it and not in further investigation by the police for which the police has its own procedure provided under the Criminal Procedure Code, the order is infact in the nature of allowing the police to gather evidence against the petitioner which is not warranted under law and not the domain of the courts, the order is therefore bereft of legal reasoning as it directs that the documents referred to in the order is necessary for further investigation by the police in investigation of the case, the order is infested with material irregularity further from being illegal and based on erroneous reasoning and as such deserves to be set-aside in the same. f) That the order impugned if allowed to sustain would amount to stalling the investigation against the complainant in FIRs registered against him and had been complained well before the registration of FIR against the petitioner which otherwise is the only motive of the complainant who is all along avoiding investigation in the said FIRs and has become evasive after his bail application has been rejected by the Sessions Court of Chandigarh and motion of the application has been made to stall the proceedings in the said FIRs at Chandigarh in case the order impugned is allowed to sustain the same would seriously prejudice the petitioner and would render the investigation lodged against the complainant infructuous and would further render the investigating agency helpless in further investigation and presenting the challan and further amounts obstructing the course of investigation as intended by the complainant and hence the order impugned is illegal and deserves to be dismissed. 4. Complainant-Pawan Mattoo has filed objections wherein it is stated that the revision petition is not maintainable as the impugned order in the petition is an interlocutory order, as such not amenable to revisional jurisdiction of this court. It is further stated that the impugned order is also an order towards facilitating of steps of investigation by investigating officer. As has already been held by this Hon'ble Court and the Apex Court, that, there is no provision in the Criminal Procedure Code wherein, except for those cases where jurisdiction of the Hon'ble High Court under Sec. 561-A is exercisable, no interference should be made in investigation of case by police by criminal courts. The impugned orders is facilitating the seizure of documents, which are, as had been projected by the Investigating Officer before the trial court, required for investigating and are evidence in the case, there is no determination of rights of the parties, as such the order is not amenable to revisional jurisdiction or jurisdiction of this Hon'ble Court under Sec. 561-A Cr. PC. It is further stated that the petitioner has, as many as approximately 12 to 15 FIRs registered against him in different Police Stations of the Country including FIR's in Chandigarh and other places. Applicant would not know exactly, if there are any further additional FIR's also against the petitioner. Petitioner, as has been investigated in the FIR No.21/2012, is unfortunate, a professional cheat, who has been cheating people everywhere and anywhere. The FIR No.21/2012 also, as applicant would plead in the factual backgrounds, is a case in which this time, it was the applicant who became the victim of the fraud, forgery and cheating of the petitioner. Petitioner has been in league with the Investigating Officer Shri Charanjit Singh at Chandigarh and has been manipulating the police so as to destroy most vital evidence in FIR No.21/2012, Police Station, Gandhi Nagar pending trial in the Court of 2nd Additional Sessions Judge, Jammu. As neither jurisdiction under 435 Cr.PC nor under 561-A Cr.PC can be invoked by a litigant for purposes of throttling or destroying evidence, the revision petition, as the same is not filed by a person whose attempt is to secure justice but whose attempt, the applicant would plead, is to ensure, that the evidence in FI R No.21/2012 pending trial before the learned 2nd Additional Sessions Judge, Jammu is destroyed, thus is liable to be dismissed. It is further stated that the petitioner has not come with any bonafide intention to the Hon’ble Court but is only trying to shield himself from the majesty of law ad investigation into a cognizable case, the petition is liable to be dismissed on this count as well. 5. I have considered the rival contentions. From the perusal of impugned order, it is evident that challan in FIR No.21/2012 dated 21.01.2012 under Section 420,467,468,471 and 34 RPC, is pending before 2nd Addl. Sessions Judge, Jammu, in which petitioner is one of the accused. During course of proceeding, I/O filed an application stating therein that during course of investigation he in order to check allegations against accused sought production of forged documents from accused; which complainant alleged that same has been destroyed, so he added section 201 RPC for destruction of evidence. Now he has come to know that accused by using said alleged documents, has lodged an FIR in Chandigarh against complainant. Accordingly he has prayed for production of documents which is in possession of SHO, Police Station, Economic Offence Wing, Sector-17, Chandigarh. Court below on 24.2.2014 allowed the said application in terms of section 94 of Cr.P.C. 6. Law with regard to further investigation is very much clear that police has always power to further investigate the cognizable offence, even after filing of challan before competent court. “47. On an overall survey of the pronouncements of this Court on the scope and purport of Section 173(8) of the Code and the consistent trend of explication thereof, we are thus disposed to hold that though the investigating agency concerned has been invested with the power to undertake further investigation desirably after informing the Court thereof, before which it had submitted its report and obtaining its approval, no such power is available therefore to the learned Magistrate after cognizance has been taken on the basis of the earlier report, process has been issued and accused has entered appearance in response thereto. At that stage, neither the learned Magistrate suo motu nor on an application filed by the complainant/informant direct further investigation. Such a course would be open only on the request of the investigating agency and that too, in circumstances warranting further investigation on the detection of material evidence only to secure fair investigation and trial, the life purpose of the adjudication in hand. “Section 94. Summons to produce document or other thing.- (1) Whenever any Court, or any officer in charge of a police station considers that the production of any document or other thing is necessary or desirable for the purposes of any investigation, inquiry, trial or other proceeding under this Code by or before such Court or officer, such Court may issue a summons, or such officer a written order, to the person in whose possession or power such document or thing is believed to be, requiring him to attend and produce it, or to produce it, at the time and place stated in the summons or order. (2) Any person required under this Section merely to produce a document or other thing shall be deemed to have complied with the requisition, if he causes such document or thing to be produced instead of attending personally to produce the same. (3) Nothing in this Section shall be deemed to affect the Evidence Act, 1977, Sections 123 and 124 or to apply to a letter, postcard, telegram, or other document or any parcel or thing in the custody of the postal or telegraph authority. 9. From bare perusal of this section, it is evident that whenever any Court, or any officer in charge of a police station considers that the production of any document or other thing is necessary or desirable for the purposes of any investigation, inquiry, trial or other proceeding under this Code by or before such Court or officer, such Court may issue a summons, or such officer a written order, to the person in whose possession or power such document or thing is believed to be, requiring him to attend and produce it, or to produce it, at the time and place stated in the summons or order. 10. This power of court is absolute, only subject to satisfaction that documents sought to be produced are necessary for inquiry, trial or investigation, which may include further investigation. 11. Further, by passing the impugned order, court below has not decided any valuable right of any party. By passing order impugned, trial Court has not truncated the proceedings. So this was an interlocutory order, so was not amenable to revision in view of bar created under section 435(2) Cr.P.C. The argument of counsel for petitioner- Sanjeev Nayyar, that he was not heard at the time of passing the order impugned, is not tenable. Because before passing any order under Section 94 Cr.P.C., the Court is not obliged to hear the accused person. Further, it is only the prerogative of the Investigating Officer to conduct further investigation in terms of Section 173(8) Cr.P.C., even after filing of charge-sheet. 12. In view of above, this petition is dismissed. Stay, if any, is vacated.